“We are aware of the action taken by the Dutch investigator. The probe agency is looking into the matter and its alleged connection with Indian firms," a senior ED official told Business Standard. According to the sources, the enforcement agency had received the money laundering alert a few months back when its counterpart in the Netherlands approached it for certain information. The intelligence with respect to certain queries was being provided to the Dutch investigator, said another source. The matter came to light last week when the Dutch investigator arrested three former employees of a local firm suspected of laundering Rs 1.2 billion through over-invoicing services and works rendered to East West Pipeline Ltd (EWPL), earlier known as Reliance Gas Transportation Infrastructure Ltd (RGTIL). These three employees of A Hak NL were released later. The Dutch investigator claimed that the service which was rendered was creamed off to Singapore-based Biometrix Marketing Ltd, said to be linked with Ambani. East West Pipeline Ltd was set up by Ambani to transport gas from RIL's oil and gas basin off the Andhra Pradesh coast to Gujarat. Recently, Ambani sold the company to Canadian private equity firm Brookfield. The loss-making pipeline failed to make money as gas production from RIL's Krishna Godavari basin dropped due to technical problems at the reservoir. An email sent to RIL with regard to enforcement agency seeking report did not elicit any response. However, RIL, earlier in a statement, had said that neither it nor any of its subsidiary set up any gas pipeline in 2006. Also, it never had a contract with any Dutch company for setting up of a gas pipeline. A France-based news agency last week had quoted the Dutch public prosecutor office as the company acted as "invoice duplicator" to enable the Indian firm to claim costs twice from gas customers. It further said that that the profits earned in this way were subsequently creamed off via the Dutch company. The gains were then transferred via a complex web of businesses based among others in Dubai, Switzerland and the Caribbean, before eventually ending up at a business owned by the Indian company in Singapore, AFP said adding the suspects allegedly received payments of up to Rs 10 million for their involvement. 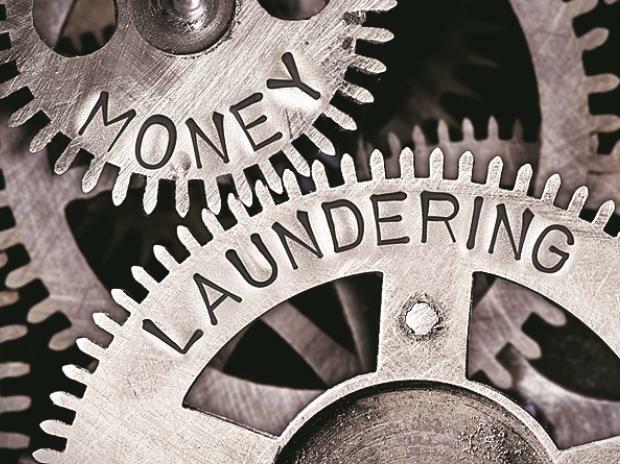 The foreign news agency further quoted the public prosecutor saying that Dutch firms are suspected of assisting an Indian client to launder suspected illegal earnings. The real losers were probably individual citizens in India as the cost of production of gas is passed onto the consumer, it added.